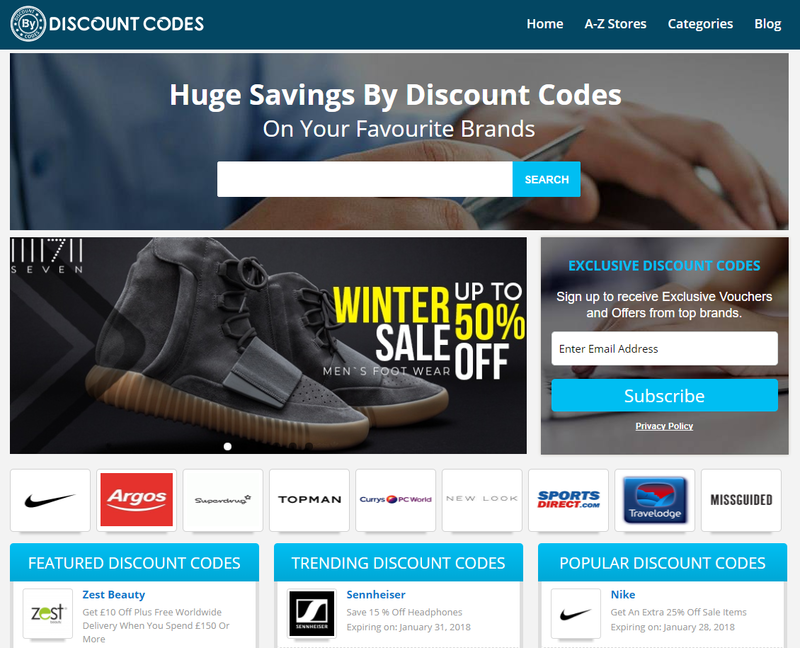 Offering a unique opportunity to provide discount codes for over 1,500 brands, By Discount Codes is an information and savings hub for online shoppers. By Discount Codes believe that online shopping should not cost a fortune and understand that online consumers often search for products and services that offer the most value for money. This vision inspired a deals platform promoting easily accessible discount codes which can be used across over 1,500 UK and Global brands. Designed to 'take the stress' out of shopping, By Discount Codes's vast brand directory is supported by a money saving blog, with content written by industry specilaists from the fashion, technology, travel and sports sectors. What makes By Discount Codes unique? With many consumers wanting to source brand information, such as policies, company information, return policies, contact details and FAQs when shopping online, By Discount Codes incorporates an information hub on site to ensure accurate and updated brand information is listed for every advertiser. By compiling this information, the user saves time browsing an advertiser’s website allowing for a positive path to purchase and retaining consumer confidence. To find out more or discuss partnership opportunities with By Discount Codes contact our Publisher Management team or contact the By Discount Codes Support Team.